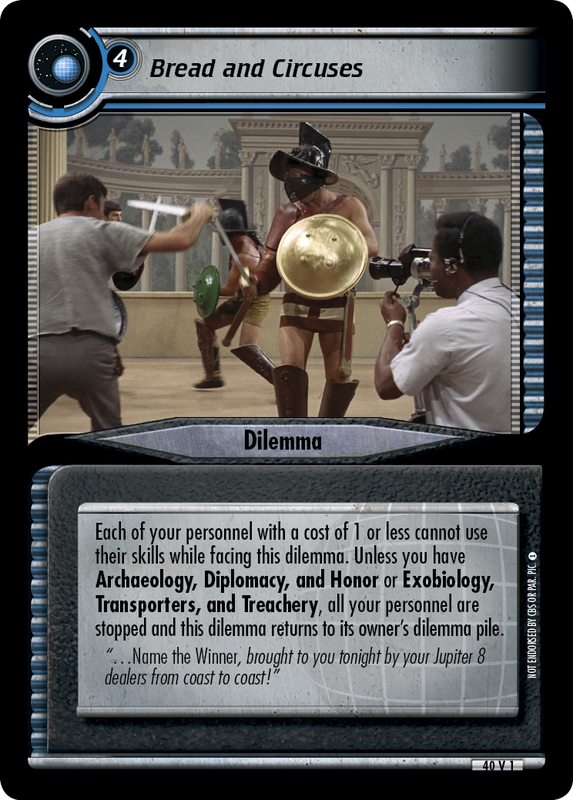 Unless you have 3 Diplomacy or Cunning>40, randomly select a personnel to be stopped, then this dilemma is placed in your core. 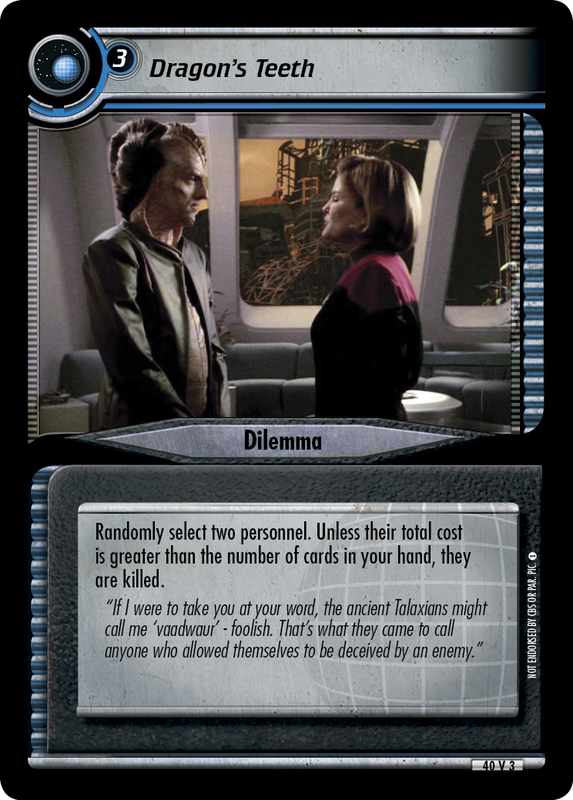 When an opponent begins an engagement involving one of your ships, each opponent's ship involved is Weapons +2. "...you will prepare my son for immediate transport. 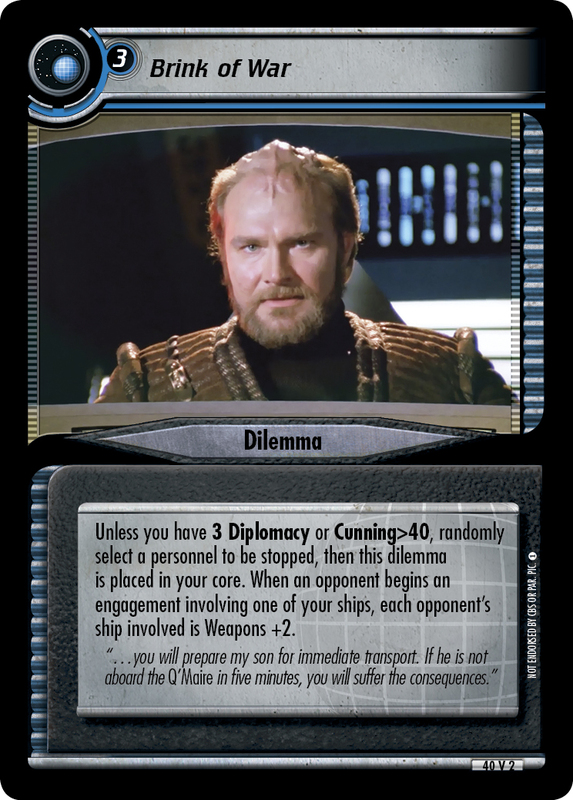 If he is not aboard the Q'Maire in five minutes, you will suffer the consequences." Image Source: The Next Generation: "Suddenly Human"